Comfort and satisfaction of our patients are very important to us. 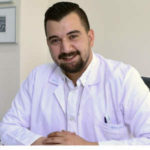 We offer the highest level of care and support to every client and our surgical team works hard to make every single patient satisfied with the results of hair transplantation. All procedures are done by licensed and experienced surgeons at a comfortable private clinic. 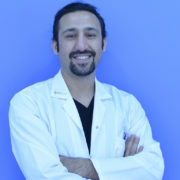 Our surgical team is headed by an experienced plastic surgeon, Dr. Abdulrahman Cevik. A team of nurses is also helping and caring for the patient during every transplant. 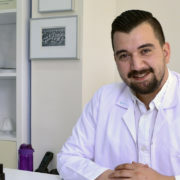 Members of our hair transplantation team speak fluent German and English and can always assist you, answer your questions and explain the procedure to you in detail. 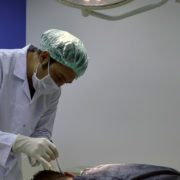 We believe hair transplantation should be done in top-class facilities. That's why our locations in Istanbul and Antalya feature 24/7 nurse care, comfortable patient suites and professional, certified staff. Our clinic locations are fully in compliance with the strict national requirements, which mandate that every hair transplant clinic must have emergency recitation facilities, among other things. Our staff performs 5+ FUE hair transplantation procedures every week for the last 9 years. All transplants are headed by a licensed plastic surgeon, Dr. Abdulrahman Cevik, who is assisted by a professional team. Our nurses and specialists are certified by national and international organisations, with an exceptional amount of experience behind their backs. We are also skilled at hair transplantation for women and beard hair transplants. Every aspect and all details have been thoroughly thought through and optimised. We place a great emphasis on team work — every member of our staff has a well-defined function, whether it is graft harvesting or patient care. All of this ensures the best results, minimal waiting times and the best patient experience possible. 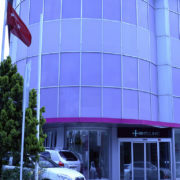 Our clinics in Antalya and Istanbul are part of a private hospital. This guarantees the highest standards of patient care and safety. 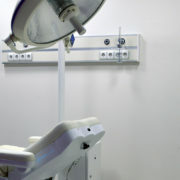 We are equipped with the latest in medical technology. With hair transplantation procedures, the standards of facilities where the operation is performed have dramatic effects on the results. We guarantee sterile operating rooms, only certified equipment, trained personnel and approved medication. Do not settle for less - saving on medical facilities in Turkey is risky. We are proud to have the best customer service in the industry. You can always email or call us - before, after and during your stay at our clinic. We believe that questions have be answered quickly and fully in order to create the best experience for our patients. That's why all emails are answered in 24h. BHT has a choice of phone numbers in different countries, so one of our experienced consultants is just seconds away. We know you have questions. We are always here to help!